New Discoveries - News article on Dr. J.B. Street - Frank Parlato Jr.
Dr Street was initiated by Swami Vivekananda as Swami Yogananda. From the evidence we have, Street did not appear to take it too seriously, and continued to do afterward what he had done before becoming a Swami- dabble in fortune- telling by using a crystal ball... 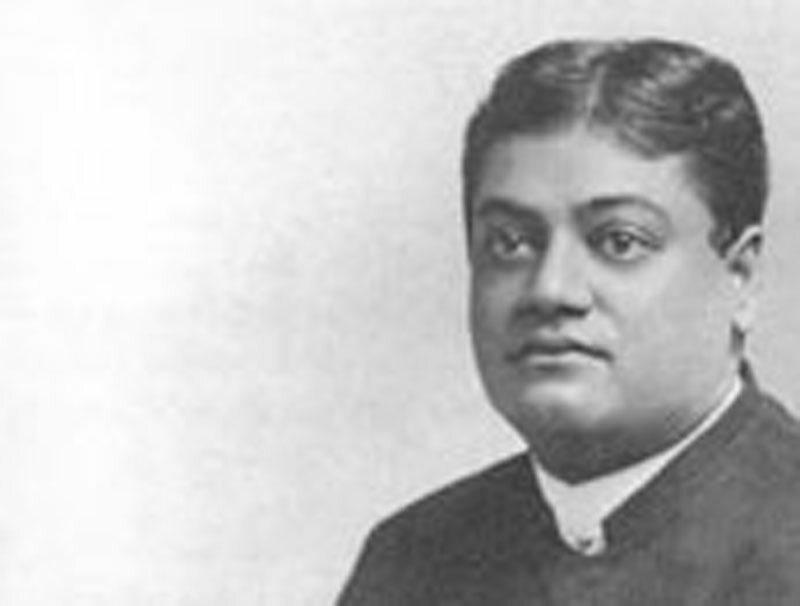 This article appeared more than four years after he was intitiated into the monastic order, and appeared during Vivekananda's lifetime. Street continues to use his pre-monastic name. As an aside, there are several notable composers, one such is Alexander Scriabin, who seem to share some of Street's opinions regarding music and color and its effect on people. Ceremonial That Has in Short Time Sprung into Favor. New York. May 21—From a small beginning a very few years ago, crystal reading has become a fad in the occult and is proving itself more attractive than astrology, palmistry, card reading and the various other readings and means of divination attractive to mortals who crave a glimpse into the seeds of time..
"Nothing was known in America of these prophetic stones, these magical little globes of glass, until at the time of the World's Fair," said Doctor J. B. Street who is the proud possessor of two of these spheres, as he explained their wonderful power of catching pictures of the past and visions of the future. "At that time," he continued, "two valuable specimens were brought to this country. One from Japan and the other from India. The Japanese one, known as 'Light of the Future,' is 200 years old. It was taken from the top of the head of an idol of Buddha. For three centuries the people of Japan had consulted it with great ceremony in the rolling of bells in the key of F natural and the swinging of incense. "The second was taken from an image of Vishnu in India in its light for 200 years the Hindo Swami had learned the fate of those who came to him begging for a glimpse into the future." "And this key of F natural! It is called 'the magical key of the East,' for it is this particular key that awakens the sensitive crystal. Individuals are like these crystals. There is a note to which they respond, and every person has an astral color to which he vibrates for color and sound are vibrations. purple, orange and white—in silk full of magnetism. The wire which the subject holds is continued to these silks and buried in their folds. Thus harmony is produced and the holder of the wire becomes en rapport with the crystals. "Now, I play various chords on the piano, observing the crystals closely. When the subject's keynote is struck his body is sure to vibrate, and the vibrations are carried through the wire to the silks. The color that is in harmony with his sound vibrations then records the vibrations by sympathy and the color is reflected in the crystals. In this way I know that I have found his keynote and his color- There is an intimate association and sympathy between sound and color that has been well-known to the Oriental ancients, but which the Occidental world is only now learning. "When the crystal dashes I know that it is in sympathy with the subject, and will respond, prophesying for him good or evil, I must continually sound the keynote to prevent the crystal falling into inaction. Colors, symbols or pictures pass through the crystals, sometimes so rapidly that, only those learned in the occultism of the East can read them. At other times the pictures can be plainly seen by all who are present and their interpretation can be in no doubt. "When there is no individual subject, and I desire to know of things in general and be able to tell of the great events that will most interest the world I continue to strike the key of F natural. "We may not understand this thing, and call it a great mystery, but it is entirely in accord with natural laws which we do understand"